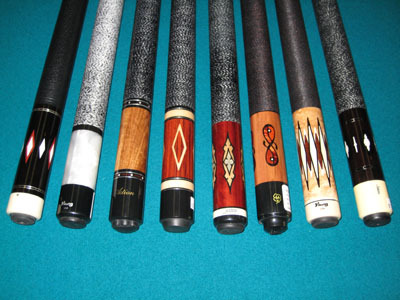 Pockets Pro Shop sells only Pro-Line Cues, featuring adjustable weight, and a lifetime warranty against defects in materials and workmanship, INCLUDING a lifetime "no-warp" guarantee! 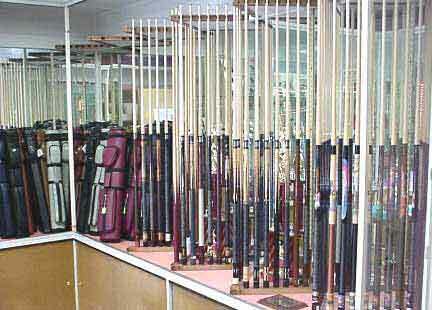 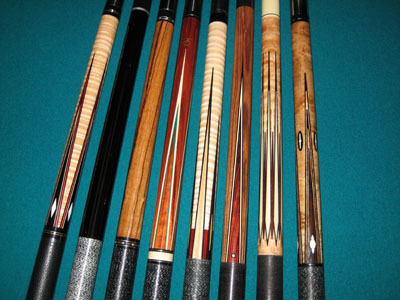 With an inventory of over 100 cues in stock, you can count on finding the perfect cue for your game. 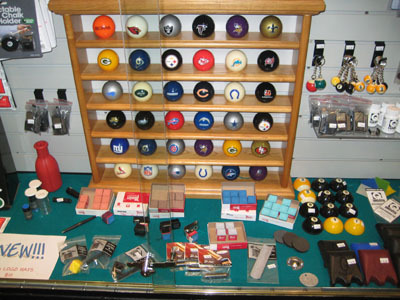 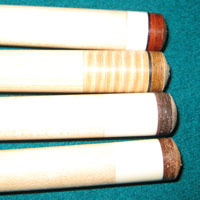 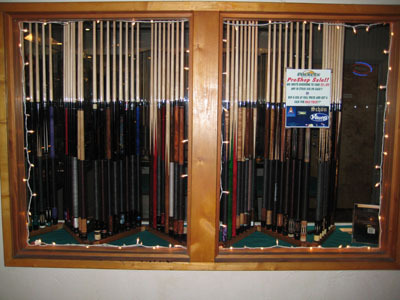 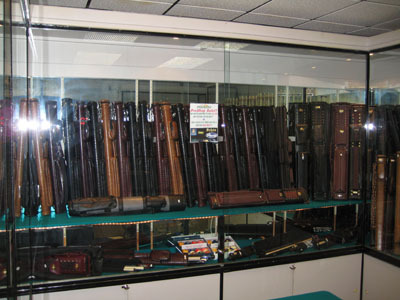 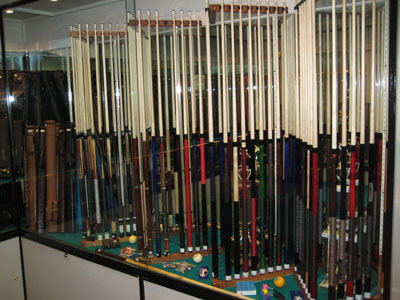 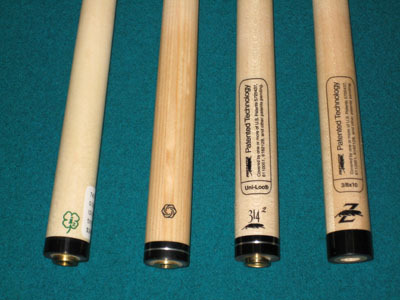 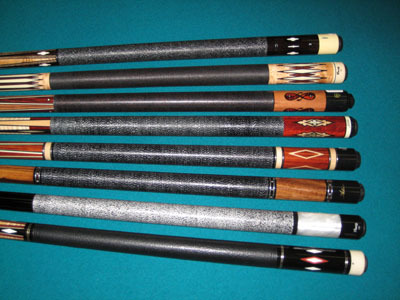 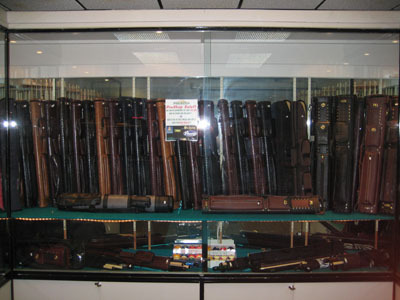 Pockets Pro Shop also sells cue cases in many sizes, and a full line of pool accessories, including pool ball sets, chalk, tip tools, gloves, books, videos, and training aids. 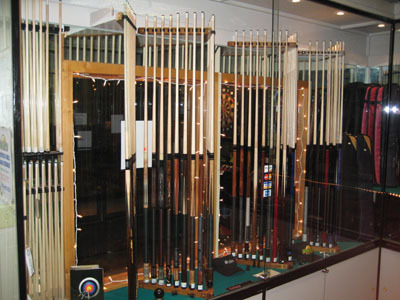 Pockets pro shop features custom tip replacement, ferrule replacement, and shaft reconditioning. 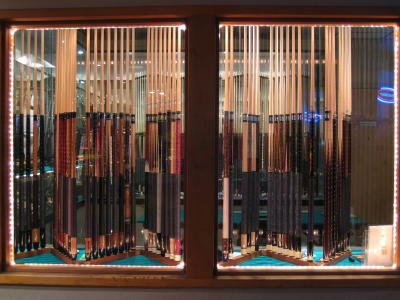 Most repairs are done "Next Day", after 3pm. 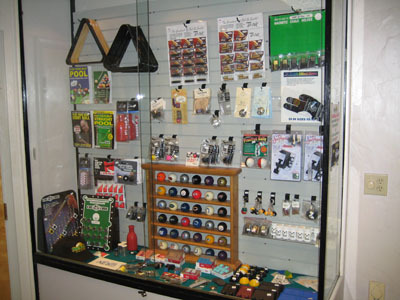 The repair shop is closed Saturday and Sunday, so repairs left on Friday night, or over the weekend will normally be ready the following Tuesday after 3pm.